This rest house is reached by a short detour off the Dhangarhi-Dhikala main forest road. 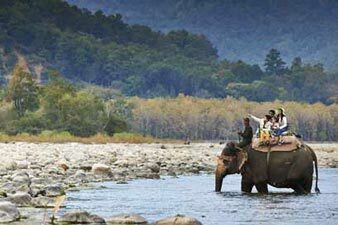 It lies on the banks of the Ramganga near the place where it first enters the Park. At Gairal the Ramganga portrays a different character than it does at places downstream (like Dhikala). Here, it is a crystal-clear, fast-flowing mountain river flowing through scenic forests. 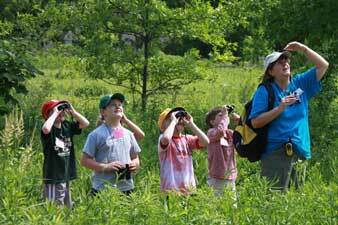 Being out of the way, Gairal presents ideal conditions for viewing wildlife and birds in tranquillity. 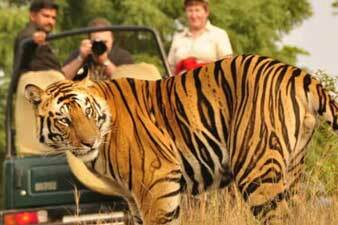 Being the most celebrated ecotourism zone of the Corbett National Park, the Dhikala zone is well endowed with the spectacular wildlife which can be a pure bliss for any wildlife lovers. 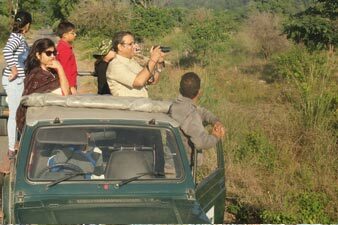 Along with the day Canter safari to explore the rich biodiversity, the Dikhala zone also offers the facility of night stay in the forest rest houses situated within the zone. Dhikala forest rest house and Gairal forest rest house are two such FRH where visitors can stay for the night and enjoy the wilderness. The charm of night stay in the forest is what draws wildlife tourists towards the forest rest houses. The Gairal Rest House is the best forest house after the Dhikala rest house in the Dhikala zone. This place is a precious gem situated cozily in the lap of nature away from the crowd and chaos of the city. 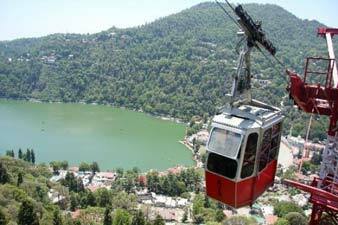 It is located around the 13 km from Dhangarhi, the entry gate of Dhikala zone and around 40 km from the Ramnagar city. The FRH compound is safeguarded by the solar electric wire to ward away wild animals to enter the premises. As the Gairal FRH is located deep in the forest so an amazing tranquility envelopes the whole surroundings, making it an enchanting place to calm your mind from all the chaotic thoughts and invigorate it while staying here. Situated on the Ramganga river bank, the FRH offers you an astounding view of the river bank along with a chance to sight many animals and witness their activities near the river bed. 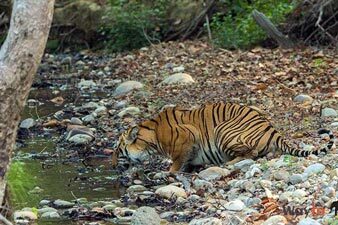 More often than not, the king of the forest, the tiger gets sighted near the river bank who visits either for drinking water or in search of its prey. The herds of elephants can also be seen around the river drinking water or bathing and playing in the water. This place is also a paradise for bird lovers as one can get amazing birding opportunity nearby the forest home. 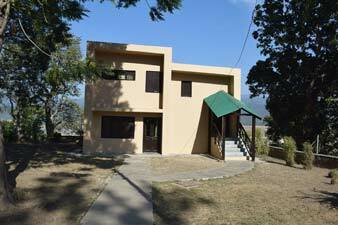 The accommodation at the Gairal FRH is nice and comfortable in comparison to the few other forest houses in Corbett. Being a forest rest house, it offers only the limited amenities in its rooms but rooms and attached bathrooms are clean and everything inside it is in good working conditions. All the rooms have the large double-bed along with the same furnishing in every room so it really doesn't matter which room you will be allotted. At present, only the new FRH and the Dormitory are available for the tourists to stay as the old FRH is not available for booking. All the rooms are very spacious and well ventilated, and the attached bathrooms are having western fittings with the 24-hour running water facility. By using the solar water heating system, hot water is provided to the guests. There is no electricity in the FRH, only the solar generated electric light is provided for the 2 hrs in the evening so no any electric appliances like Air-Conditioner, Television, Fan, etc. are provided in the rooms. Gairal rest house offers spick and span rooms with attached washroom and a few limited amenities. All the rooms are well maintained and spacious, but no 24 hour electricity is supplied. Due to the maintenance of the natural environment, the rooms are not air conditioned and no telephone facilities are provided. The rest house provides canteen facility, where tourist can get delicious food and snacks at a very low cost.